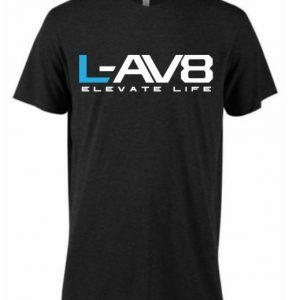 L-AV8 provides online resources including shopping services, search services, content, classified ads and forums (collectively, “the Service”) subject to the following terms and conditions of service (“User Agreement”). By using the Service in any manner, including if you visit or shop at the L-AV8.com website, you agree to comply with all terms and conditions of this User Agreement. In addition, when using particular L-AV8 services, you agree to abide by all posted guidelines for all L-AV8 services. You consent to receive communications from L-AV8 electronically. You agree that all agreements, notices, disclosures and other communications sent to you electronically satisfy any legal requirements that such communications be in writing. L-AV8 does not pre-screen or approve Content but L-AV8 shall have the right (but not the obligation) in its sole discretion to refuse, delete or move any Content for any reason. All product names, trademarks, service marks or other images exhibited through the Service are either the property of, or used with permission by, L-AV8 and the use thereof without the express written consent of the owner(s) thereof is strictly prohibited. All other product names exhibited through the Service may be trademarks or service marks of other persons. The L-AV8 site and Content available through the Service may contain features and functionalities that may link or provide you with access to third party content which is completely independent of L-AV8 including web sites, servers, networks, systems, information, databases, applications, software, programs, products or services and general access to the Internet. Your interactions with third parties (the “Third Parties”) including payment and delivery of goods or services and any other terms, conditions, warranties or representations associated with such Third Party dealings are solely between you and the Third Parties. You must make all appropriate investigations before proceeding with any online or offline transaction with any Third Party. L-AV8 does not investigate, certify or approve any Third Party or other user of the Service. L-AV8 shall not be responsible or liable for any loss, damage, cost or expense of any type whatsoever incurred as the result of any dealings or other interactions with Third Parties. If you have any dispute with a Third Party, you agree that L-AV8 is not obligated be involved in the dispute and you hereby release and hold L-AV8, its officers, employees, agents and successors harmless from claims, demands and damages (actual and consequential) of every kind whatsoever, known or unknown, suspected and unsuspected, disclosed and undisclosed, arising out of or in any way related to such disputes or the Service. If you use the Service, you are solely responsible for maintaining the confidentiality of your account and password and for restricting access to your computer. You also agree that you are responsible for all activities that occur under your account or password. If you are under 18, you may use the Service only with involvement of your parent or guardian.L-AV8 reserves the right to refuse service, terminate accounts, remove or edit content or cancel orders in its sole discretion. protect the rights, property or safety of L-AV8 or the site users. The L-AV8 website permits you to post your personal information such as your name, email address, phone number, physical address, etc.L-AV8 strongly discourages you from posting your specific personal information because it will be available to anyone with internet access.L-AV8 cannot guarantee the privacy or security of your information and, therefore, we strongly encourage you to utilize L-AV8’s blind email feature which gives others limited access to your personal information. 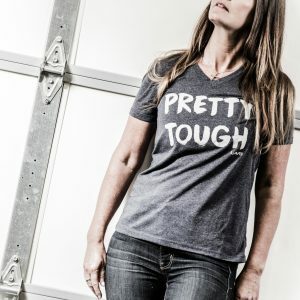 advertises any illegal service or the sale of any items the sale of which is prohibited or restricted by any applicable law, including, without limitation, the sale of items prohibited or regulated by Texas law. Without limiting the generality of the preceding sentence, you agree that all offers to sell and all sales and transfers of firearms, guns, ammunition, hunting guides and gun accessories shall by made by you strictly in accordance with all federal, state and local laws, rules and regulations. You further acknowledge and agree that applicable law prohibits that shipment of guns and firearms to any person or entity other than a Federally Licensed Dealer and you shall not sell, ship or deliver any goods in violation of any law. It is your obligation to know all laws regarding offers to sell and the sale and transfer of firearms, guns and ammunition and to fully comply with such laws and any violation of such law will terminate your right to access or use the Service. L-AV8 will cooperate with law enforcement in prosecuting anyone suspected of breaking any such laws. use any form of automated device or computer program (“flagging tool”) that enables the use of L-AV8’s flagging system or other community moderation systems without each flag being manually entered by the person that initiates the flag or use the flagging tool to remove posts of competitors or posts of L-AV8 or any Third Party. barring of further use of the Service and L-AV8 shall not be liable to your or any Third Party for any termination of your account, any associated email addresses or termination of access to the Service. All items purchased from L-AV8 are made pursuant to a shipment contract. This means that the risk of loss and title for such items pass to you upon delivery to the carrier. L-AV8 does its best to accurately represent the merchandise through photo, price and copy. Occasionally we make mistakes, if such a mistake should occur; your order will be corrected as the facts dictate. We are not liable for errors in pricing, pictures, or descriptions. L-AV8 does our best to price our products at market value. As the market changes so does our pricing. We are not obligated to honor a price that is in print or an error. We reserve the right to adjust product prices as dictated by the market. Sending unsolicited email advertisements through L-AV8’s computer systems or the Service is expressly prohibited by this User Agreement. Any unauthorized use of L-AV8’s computer systems is a violation of this User Agreement and federal and state laws, including without limitation, the Computer Fraud and Abuse Act (18 U.S.C. A, §§ 1030 et seq.). Such violations may subject the sender and his agents to civil and criminal penalties. 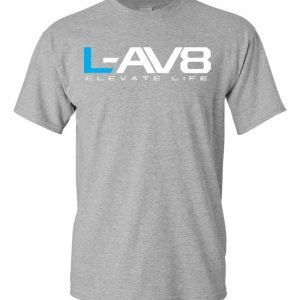 L-AV8 may establish limits from time to time concerning use of the Service including, without limitation, the maximum number of days that Content will be retained by the Service, the maximum number and size of postings, email messages or other Content that may be transmitted or stored by the Service and the frequency with which you may access the Service. L-AV8 has no responsibility or liability for the deletion or failure to store any Content maintained or transmitted by the Service. L-AV8 reserves the right at any time to modify or discontinue the Service (or any part thereof), with or without notice, and L-AV8 shall not be liable to you or to any Third Party for any modification, suspension or discontinuance of the Service. L-AV8 grants you a limited, revocable, nonexclusive license to access the Service for your own personal use. This license does not include access to the Service by posting agents or any collection, aggregation, copying, duplication, display or derivative use of the Service nor any use of data mining, robots, spiders or similar data gathering or extraction tools for any purpose unless expressly approved in writing by L-AV8. L-AV8, in its sole discretion, has the right (but not the obligation) to delete or deactivate your account, block your email or IP address, or otherwise terminate your access to or use of the Service (or any part thereof), immediately and without notice, and remove and discard any Content within the Service for any reason, including, without limitation, if L-AV8 believes that you have violated this User Agreement. Further, L-AV8 shall not be liable to you or any Third Party for any termination of your access to the Service. The Service is protected by copyright laws and international treaties. Content displayed on or through the Service is protected by copyright as a collective work or compilation pursuant to copyrights laws and international conventions. Any reproduction, modification, creation of derivative works from or redistribution of the site or the collective work or copying or reproducing the sites or any portion thereof to any other server or location for further reproduction or redistribution is prohibited without the express written consent of L-AV8. You shall not reproduce, duplicate or copy Content from the Service without the express written consent of L-AV8 and you agree to abide by any and all copyright notices displayed on the Service. You may not decompile or disassemble, reverse engineer or otherwise attempt to discover any source code contained in the Service. Without limiting the foregoing, you shall not reproduce, duplicate, copy, sell, resell or exploit for any commercial purposes, any aspect of the Service. Although L-AV8 does not claim ownership of content that its users post, by posting Content to any public area of the Service, you automatically grant, and you represent and warrant that you have the right to grant, to L-AV8 an irrevocable, perpetual, non-exclusive, fully paid, transferable, irrevocable, worldwide license to use, copy, perform, display and distribute the Content and to prepare derivative works of, or incorporate into other works, the Content and to grant and authorize sublicenses (through multiple tiers) of the foregoing. 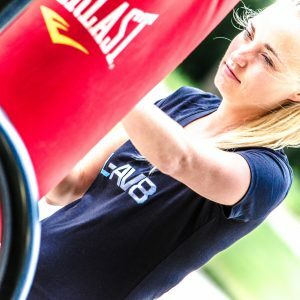 By posting Content to any public area of the Service, you automatically grant L-AV8 all rights necessary to prohibit any subsequent aggregation, display, copying, duplication, reproduction or exploitation of the Content on the Service by any party for any purpose. Notification of Infringement Claims If you believe that your intellectual property has been unlawfully copied or any Content otherwise infringes your intellectual property rights, please notify us in writing immediately. Disclaimer of Warranties YOU AGREE THAT USE OF THE L-AV8 SITE AND THE SERVICE IS ENTIRELY AT YOUR OWN RISK. THE L-AV8 SITE AND THE SERVICE ARE PROVIDED ON AN “AS IS” OR “AS AVAILABLE” BASIS, WITHOUT ANY REPRESENTATIONS OR WARRANTIES OF ANY KIND. ALL EXPRESS AND IMPLIED WARRANTIES, INCLUDING, WITHOUT LIMITATION, THE WARRANTIES OF MERCHANTABILITY, FITNESS FOR A PARTICULAR PURPOSE AND NON-INFRINGEMENT OF PROPRIETARY RIGHTS ARE EXPRESSLY DISCLAIMED TO THE FULLEST EXTENT PERMITTED BY LAW. TO THE FULLEST EXTENT PERMITTED BY LAW, L-AV8 DISCLAIMS ANY WARRANTIES FOR THE SECURITY, RELIABILITY, TIMELINESS, ACCURACY AND PERFORMANCE OF THE L-AV8 SITE AND THE SERVICE. TO THE FULLEST EXTENT PERMITTED BY LAW, L-AV8 DISCLAIMS ANY WARRANTIES FOR OTHER SERVICES OR GOODS RECEIVED THROUGH OR ADVERTISED ON THE L-AV8 SITE OR SERVICE OR ACCESSED THROUGH ANY LINKS ON THE L-AV8 SITE. TO THE FULLEST EXTENT PERMITTED BY LAW, L-AV8 DISCLAIMS ANY WARRANTIES FOR VIRUSES OR OTHER HARMFUL COMPONENTS IN CONNECTION WITH THE L-AV8 SITE OR THE SERVICE. Some jurisdictions do not allow the disclaimer of implied warranties. In such jurisdictions, some of the foregoing disclaimers may not apply to you. Limitation of Liability UNDER NO CIRCUMSTANCES SHALL L-AV8 BE LIABLE FOR DIRECT, INDIRECT, INCIDENTAL, SPECIAL, CONSEQUENTIAL OR EXEMPLARY DAMAGES (EVEN IF L-AV8 HAS BEEN ADVISED OF THE POSSIBILITY OF SUCH DAMAGES) RESULTING FROM ANY ASPECT OF YOUR USE OF THE L-AV8 SITE OR THE SERVICE, WHETHER THE DAMAGES ARISE FROM USE OR MISUSE OF THE L-AV8 SITE OR THE SERVICE, FROM INABILITY TO USE THE L-AV8 SITE OR THE SERVICE OR THE INTERRUPTION, SUSPENSION, MODIFICATION, ALTERATION OR TERMINATION OF THE L-AV8 SITE OR THE SERVICE. SUCH LIMITATION SHALL ALSO APPLY WITH RESPECT TO DAMAGES INCURRED BY REASON OF OTHER SERVICES OR PRODUCTS RECEIVED THROUGH OR ADVERTISED IN CONNECTION WITH THE L-AV8 SITE OR THE SERVICE OR ANY LINKS ON THE L-AV8 SITE AS WELL AS BY REASON OF ANY INFORMATION OR ADVICE RECEIVED THROUGH OR ADVERTISED IN CONNECTION WITH THE L-AV8 SITE OR THE SERVICE OR ANY LINKS ON THE L-AV8 SITE. THESE LIMITATIONS SHALL APPLY TO THE FULLEST EXTENT PERMITTED BY LAW. In some jurisdictions, limitations of liability are not permitted. In such jurisdictions, some of the foregoing limitations may not apply to you. Indemnity YOU HEREBY AGREE TO INDEMNIFY, DEFEND AND HOLD L-AV8, ITS OFFICERS, SUBSIDIARIES, AFFILIATES, SUCCESSORS, ASSIGNS, DIRECTORS, OFFICERS, AGENTS, SERVICE PROVIDERS, SUPPLIERS AND EMPLOYEES, HARMLESS FROM ANY CLAIM OR DEMAND, INCLUDING ATTORNEY FEES, COURT COSTS AND OTHER LEGAL DISBURSEMENTS AND EXPENSES ARISING FROM OR RELATED TO, DIRECTLY OR INDIRECTLY, ANY CONTENT YOU SUBMIT, POST OR MAKE AVAILABLE THROUGH THE SERVICE, YOUR USE OF THE SERVICE, YOUR VIOLATION OF THIS USER AGREEMENT, YOUR BREACH OF ANY OF THE REPRESENTATIONS AND WARRANTIES HEREIN OR YOUR VIOLATION OF ANY RIGHTS OF, OR DUTIES OWED TO, ANY THIRD PARTY. You and L-AV8 agree that we will resolve any claim or controversy that arises out of this User Agreement, the Service or any sales transaction (a “Claim”) in accordance with one of the procedures described below. We strongly encourage you to first contact us directly by email to seek a resolution of the Claim. L-AV8 AND YOU HEREBY AGREE TO SUBMIT TO THE PERSONAL AND EXCLUSIVE JURISDICTION OF THE STATE AND FEDERAL COURTS OF THE STATE OF TEXAS AND VENUE SHALL BY PROPER IN TARRANT COUNTY. This User Agreement contains the entire agreement between L-AV8 and you and governs your use of the Service and all transactions or other matters between L-AV8 and you, superceding any prior agreements between L-AV8 and you. This User Agreement and the relationship between L-AV8 and you shall be governed by the laws of the State of Texas without regard to its conflict of law provisions. The failure of L-AV8 to exercise or enforce any right or provision of this User Agreement in any instance shall not constitute a waiver of such right or provision. Copyright notice for all pages on this website: ©2017 Direct Investments, Ltd.. All Rights Reserved. Any reproduction of these pages for commercial purposes or for distribution to other persons is a violation of United States Copyright law and may subject you to civil and criminal penalties. You may not modify, publish, transmit, create derivative works or in any other way exploit any of the Cheaper Than Dirt! copyrighted works without first obtaining Direct Investments written consent. You may not view, reproduce, print or otherwise use any of the content of this website for anything other than your personal, informational, noncommercial use. Any reproduction must include the copyright notice set forth above. L-AV8 has taken reasonable efforts to ensure that the information contained in this website is accurate; however, all information is provided “as is” without any expressed or implied warranties, INCLUDING BUT NOT LIMITED TO THE IMPLIED WARRANTIES OF MERCHANTABILITY, FITNESS FOR A PARTICULAR PURPOSE OR NON-INFRINGEMENT. IN NO EVENT SHALL CHEAPER THAN DIRT! BE LIABLE FOR ANY SPECIAL, INDIRECT, PUNITIVE OR CONSEQUENTIAL DAMAGES RESULTING FROM ANY USE OR PERFORMANCE OF OR CONTENT ERRORS OR OMISSIONS IN THE INFORMATION, EVEN IF NOTIFIED IN ADVANCE OF THE POTENTIAL FOR SUCH DAMAGES. All users of the information agree that access to any use of the information is subject to the terms and conditions set forth in the User Agreement, as well as all applicable laws, and such access and use is at the user’s own risk. Our products are intended for adult use only.